December 9, 2012 SOLD OUT! Ellie was born on January 26, 2009. Ellie's dam is D & S Harley Girl and her sire is White Oak's Ready to Rumble MH. She weighs about 70lbs and is one sweet girl. Easy going and easily trained. Her nickname is "Princess"! 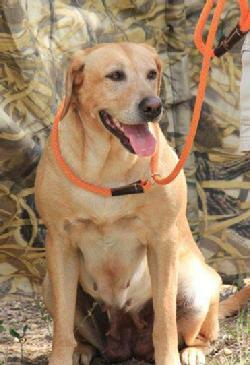 Ellie earned her Junior Hunt Title on June 12, 2010 and recently earned her Senior Hunt Title on 9-16-12. She is now in training for the Master Tests. This will be Ellie's second litter of pups. Valor is a handsome dark yellow (fox red) male that runs effortlessly through the field. He was birdy and loved water from the start and loves people as well. Valor's sire is Justice Retriever’s own FC Tribute to Justice (Honor). 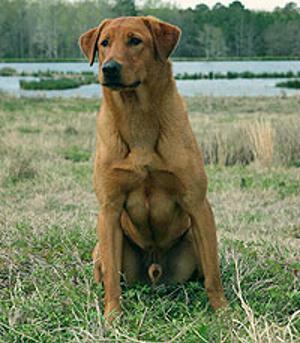 Valor’s grandsire is the famed FC-AFC Teddy’s Ebonstar James, a dog that became a Field Champion at age 3 and one of the most successful yellows of our time. Valor is also an excellent marker. Valor’s young dog training was done by Andy Attar of Autumn Run Retrievers. On his first attempt in the Fall 2011, Valor became Qualified All Age! Valor is continuing his training with Andy. The future looks bright for Valor! Valor is owned by Susan Bledsoe of Justice Retrievers. More information may be seen on her website at www.justiceretrievers.com. Dew claws were removed on 12/11/12. Pups will be wormed at 3, 5, & 7 weeks, and pups will receive their 6 week vaccines and be vet checked by Dr. Sam Yoder, Silver Maple Veterinary Clinic. Born and raised in our home….well socialized. Ready for new homes February 1, 2013.